The café is an opportunity for caregivers and their loved one to meet with others for support, companionship, and fun! The program provides structured activities to promote reminiscence, cognition, and engagement. A light dinner will be served towards the end of the program to provide opportunity to share conversation and get to know others in a safe, supportive environment. Come join us! Questions? 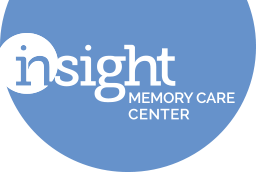 Please contact Lindsey Vajpeyi at 703-204-4664 or lindsey.vajpeyi@insightmcc.org. 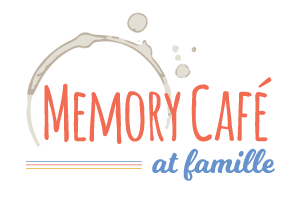 The Memory Café at Famille is a social and recreational gathering of individuals with memory loss and their caregivers, friends and family. Here, they can participate in an engaging activity while keeping the company of others who can relate without explanation, relax without feeling misunderstood, and share freely without fear of judgment. Come and join us! 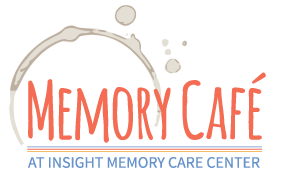 The Memory Café is a collaborative effort of Famille, The Kensington Falls Church, Falls Church Arts and Insight Memory Care Center. Creative Expression Teaching Artists and Insight staff will lead all programs. Join us to for a cup of coffee and a creative project while meeting others for support, companionship and fun! Questions? Please contact Kitty Janney, Director of Community Outreach at The Kensington Falls Church, at 703-844-1078 or kjanney@kensingtonsl.com. Contact Nicole McMonigle Knight at nicole@dementiacareconnections.com or 571-422-6231. 2nd Saturday from 12:00 to 2:00 pm - bring your lunch! Please contact Sonia Gow for more information at Sonia@ParkinsonSocialNetwork.org or visit parkinsonsocialnetwork.org.